We are connecting with folks at the Technology Enabled Seminar and Showcase (#TESS18) in Toronto, Canada, on November 12th and 13th to celebrate and share with empowered educators from across Ontario’s higher education spaces. #TESS18 will bring together educators and technologists through the Empowered Educator framework. From the TESS site: “This theme is inspired by the six attributes of the Ontario Extend framework first described by Simon Bates in 2014. Ontario Extend is a series of professional development modules, grounded in the belief that the impact on learning should be the primary motivator for creating online and technology-enabled learning experiences. 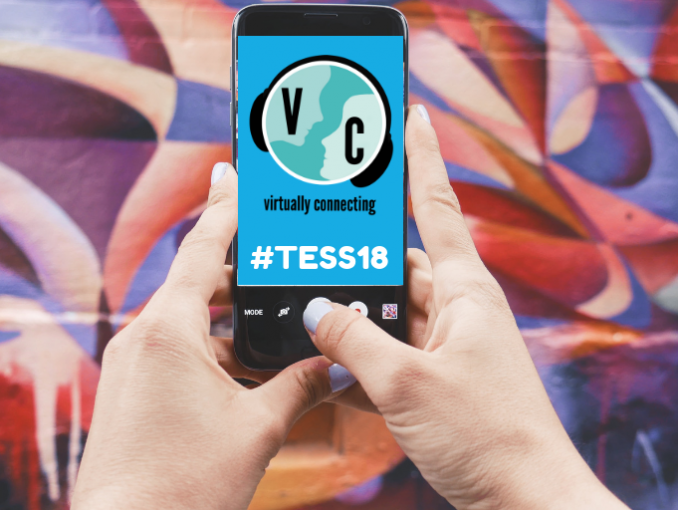 Extend aims to empower educators to explore a range of emerging technologies and pedagogical practises for effective online and technology-enabled teaching and learning.” Link to find out more about TESS18: The Empowered Educator. The #TESS18 program will explore the skills, knowledge and attributes required to transform teaching and learning practises through collaboration and connections with colleagues from colleges and universities across Ontario and extending into international locations. Want to know more about Virtually Connecting? Read more about us. Want to attend any of these sessions from your virtual corner of the world? Pick one of these options and we’ll connect with you. fill in this Google Form to let us know who you are and which sessions you’d like to JOIN. We’ll wrangle a session with the current eCampus Ontario OEFellows to talk about open fellowship and how this has empowered their educational practices. Come meet this active group of empowered educators and hear what they’re up to at #TESS18. The onsite buddy will be Jenni Hayman. Our virtual buddies will be Joseph Murphy and Christina Hendricks. Our onsite guest is Simon Bates. He’ll share some insights about the Engaged Educator framework from his keynote talk. The onsite buddies will be Terry Greene. Our virtual buddies will be Christina Hendricks and Joseph Murphy . Our onsite guest is Robin DeRosa. She’ll share insights from her keynote talk. The onsite buddy will be Helen DeWaard. Our virtual buddies will be Christina Hendricks and Verena Roberts. Our onsite guest will be Chris Fernlund and students from the SDX Lab (@SDXLab). They’ll share insights from their panel presentation, their Student Experience Design Lab projects, and student perspectives on how empowered educators impact student learning experiences. The onsite buddy will be Terry Greene.